Australia is a democratic country and most Australians grow up thinking we have a right to “free speech”. But is this really true? "In 1973 EG Whitlam, the Prime Minister of Australia at this time, an individual with one vote (equally as all Australians) and without the authority of the Queen or the People began the gradual process of changing our constitutional government into a totally new corporate government. One unknown to the contract holders, the Commonwealth of Australia and the constitutional Monarch Queen Elizabeth 2nd, Defender of the Faith." "It is well past time we Australians sorted out who we are. Are we an independent sovereign nation, or are we a colony? Who is legally sovereign the Queen of the United Kingdom, or the Queen of Australia, or the Australian people? Are we then legally a member of the United Nations?" That is the United Nations Agenda to oversee the programming of our schools. If you have ever wondered why your children call you a racist for standing against Islam or from joining the rest of the world in global government, now you have your answer—UNESCO programming—taught in our publicly paid for schools, by teachers who have gone through our Socialist majority universities. Here is the 2016 UNESCO plan from the Australian Government website. As you can see it is committed to increasing UNESCO’s role in our education system. incorporated in Australia and you can see the people who made it happen. Top of the List was our Governor General—Quentin Bryce and check it out…Michael Kirby was also a Patron—who was a High Court Judge. The Constitution of Australia is the supreme law under which the Australian Commonwealth Government operates. The Constitution consists of several documents and the most important one is the "Constitution of the Commonwealth of Australia." 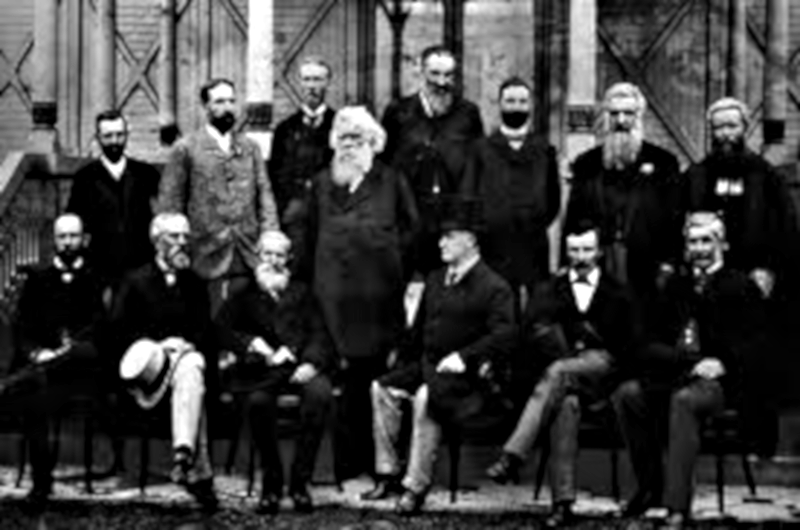 The Constitution was approved in referendums held over 1898 to 1900 by the people of the Australian colonies and the approved draft was enacted as a section of the Commonwealth of Australia Constitution Act 1900 (Imp), an Act of the Parliament of the United Kingdom. The Commission of Assent was signed by Queen Victoria on 9 July 1900, upon which the Constitution became law. The Constitution came into force on 1 January 1901. Even though the Constitution was originally given legal force by an Act of the United Kingdom parliament, the Australia Acts removed the power of the United Kingdom parliament to change the Constitution and only the Australian people can amend it (by referendum). Other pieces of legislation have constitutional significance for Australia. These are the Statute of Westminster, as adopted by the Commonwealth in the Statute of Westminster Adoption Act 1942 and the Australia Act 1986, which was passed in equivalent forms by the Parliaments of every Australian state, the United Kingdom, and the Australian Federal Parliament. Together, these Acts had the effect of severing all constitutional links between Australia and the United Kingdom. Even though the same person, Queen Elizabeth II, is the monarch of both countries she acts in a distinct capacity as monarch of each. Australia has a Constitution which gives Australian people the right to vote on major changes to Australia through Referendums (More on this further below). Section 44 of the Constitution forbids anyone who bears allegiance to a foreign nation from sitting in Parliament, otherwise, it is considered treason. We believe that any political parties or politicians who seek to destroy the country through third world immigration, the destruction of manufacturing, industry, and farming etc have COMMITTED TREASON under Section 44 of the Constitution. (v.) Has any direct or indirect pecuniary interest in any agreement with the Public Service of the Commonwealth otherwise than as a member and in common with the other members of an incorporated company consisting of more than twenty-five persons: shall be incapable of being chosen or of sitting as a senator or a member of the House of Representatives. The unfortunate fact is that due to lack of education on this topic in schools (equates to dumbing down of the population - treason again? ), few Australians know much about their constitution and do not know they have no Bill of Rights, which means Australians really have no rights. Over the many years Australians have been building the nation, fighting in wars, there has been no organizational legal entity built to represent them and right for Bill of Rights..
A carbon pricing scheme in Australia, commonly dubbed as a "carbon tax" was introduced by the Gillard Labor Government in 2011 and operated until it was repealed on 17 July 2014, and backdated to 1 July 2014. The Emission Reduction Fund was subsequently set up by the Abbott government in December 2014. Coal Seam Gas As outlined by Dr. Alex St John in his article The coal Seam Gas Debate, Coal seam gas (CSG), is a polarising issue in some communities. Proponents argue that CSG is a vital energy resource necessary for continued gas supplies. Opponents claim that CSG could have serious environmental and social impacts. One excuse given for not having referendums is that it is "too expensive." We believe that if election voting was held via the Internet, referendums could be included at the same time. Alternatively, in the absence of online elections, papers could be included on referendums on election days or even separately at a set time every few years. Australians should ask themselves; "Do they really have a government that represents them?" From our observations, we would say "No!" The three major political parties - Australian Labor Party (Fabian leaders), Liberal National Party and the Greens (Marxists), are under one single party because all three parties want to completely destroy manufacturing, farming and natural resources used by its people. The Australian people must realize that they have to set up and unite all organizations to represent themselves and start campaigning against the oligarchies which run the country. There are several groups/political parties, for example, Pauline Hanson's One Nation Party, CIR Now, Australian Sovereignty Party etc. As highlighted by the speaker in the above video, the will of the Australian people should prevail when it comes to major changes, i.e. referenda. "......... The people of six colonies, voting as provincial citizens, subsequently ratified the Constitution. On the other hand, there is, in part, a recognition of the national principle by the Constitution being founded on the will of the people, and not on the mandate of the provincial legislatures"
"..........Whilst, therefore, in this Constitution some executive power are, in technical phraseology, and in accordance with venerable customs, vested in the Governor-General, and others in the Governor-General in Council, they are all substantially in pari materia, on the same footing, and, in the ultimate resort, can only be exercised according to the will of the people." Bob Brown was the former leader of the Greens which is a Left-Wing Marxist party in Australia. There are people who would say Bob Brown committed treason with his illegal plebiscite bill which removes the right to a referendum under the rules of the Constitution of Australia and replaces it with a republic. It is totally illegal to attempt to remove your rights, liberties, and freedoms to potentially paving the way for a United Nations (UN) communist dictatorship. The difference between a plebiscite and a referendum is that a plebiscite is a glorified opinion poll. In a referendum, the details are on the table BEFORE and not AFTER you vote. Brown's Republic Bill did not attempt to determine what model should be adopted or what powers the Head of State should hold, or operational and governance issues. "The United Nations has given Federal Government a Mandate of ownership for housing, farms, property and business to Government Control, once the Republic has been proclaimed." "A plebiscite is the process of referring a political question to the general electorate. Voters are asked to answer yes or no to a written question. A plebiscite is different to a referendum because the results are not legally binding. This more modern use of the plebiscite arose out of the French Revolution and the French Republic's policy of holding popular votes on......."
Governments can hold advisory referendums to test whether people either support or oppose a Republic. Clause 6 of Brown's Bill provided that the process for holding the plebiscite would be followed by a second plebiscite by amending/modifying the Application of Referendum (Machinery Provisions) Act 1984. The word "plebiscite" does not appear in "Referendum (Machinery Provisions) Act 1984." Plebiscites have no basis in Australian Constitutional law. Discussion details will only be held after such a vote of support by the elector. Here is the 1999 Bill for a republic that failed. In this article entitled "Tracking the push for an Australian republic," author Brenton Holmes writes on the issue: "Some argued that plebiscites were a very expensive opinion poll, others that they facilitated early and informed engagement with the issue. Many submissions argued in favour of a ‘threshold question’ to gauge support for a republic. Others proposed a second plebiscite question with a choice of models, and these questions might be held either concurrently or separately. There was also the question of whether the plebiscite(s) should be held in conjunction with elections; whether the plebiscite vote should be compulsory; and whether the vote should use a preferential or ‘first past the post’ ballot." BASIC FRAUD - AUSTRALIA - THE CONCEALED COLONY - "THE TRUTH WILL SET US FREE"
Sir David Smith explains how most Australians don't know Australia has a written Constitution and the Constitution is an inbuilt safeguard that ensures any government that seeks to change the Australian Constitution, must first get the approval of the Australian Public as outlined in Section 128 of the Australian Constitution. We recommend that Australians and people worldwide campaign for a Canon Direct Democracy system to be introduced in Australia and move to abolish the political parties sometime in the future. While some control may be gained by utilizing Section 128 of the Constitution, nothing major can happen without a direct democracy. The change we are advocating is to amend Section 128 of the current Constitution by adding a paragraph to allow Citizens (as well as the Parliament), the right to initiate referenda to change the Constitution. At present, only our elected representatives in the House can initiate referendums. Then they allow the people to vote on them. Any elector or group of electors vote for the election of the House of Representatives may initiate a proposal to change this Constitution by submitting a Petition to the Governor General. The Petition shall include the proposed alteration of this Constitution. On receipt of such a Petition signed by not less than one per cent of the electors qualified to vote for the election of the House of Representatives, and verified by the Electoral Commissioner, the Governor-General shall within three months submit the proposal to referendum. A proposed law by the Parliament for the alteration thereof must be passed by an absolute majority of each House of the Parliament, and not less than two nor more than six months after its passage through both Houses. The proposed law shall be submitted in each State and Territory to the electors qualified to vote for the election of members of the House of Representatives. Also, if either House passes any such proposed law by an absolute majority, and the other House rejects or fails to pass it, or passes it with any amendment to which the first-mentioned House will not agree. Then if after an interval of three months the first-mentioned House in the same or the next session again passes the proposed law by an absolute majority with or without any amendment which has been made or agreed to by the other House, and such other House rejects or fails to pass it or passes it with any amendment to which the first-mentioned House will not agree. The Governor-General may submit the proposed law as last proposed by the first-mentioned House, and either with or without any amendments subsequently agreed to by both Houses, to the electors in each State and Territory qualified to vote for the election of the House of Representatives. The Reserve Bank is not a commercial bank and so does not provide banking facilities to the general public. It does, however, provide banking services to government, commercial bank and other clients. The Reserve Bank Board has up to nine members. Three of these are ex officio: the Reserve Bank Governor (Chairman), the Deputy Governor (Deputy Chairman) and the Secretary to the Treasury. The Governor and Deputy Governor are appointed by the Treasurer for terms of up to seven years. The other six (non-executive) members are appointed for terms of up to five years. Board members are appointed by the Treasurer and there is no limit on the number of terms they may serve. The people who govern the RBA would no doubt be connected to and influenced by the global elite bankers. The bank gets rich off us. Doesn't that mean that the people who own the bank get rich off us? Who owns the banks? Don't "we" own the banks?"